In case you missed it, in January, the Montana Department of Revenue and Department of Labor and Industry jointly released a report, Montana Medicaid and Montana Employers, which details how Medicaid expansion benefits businesses in our state. 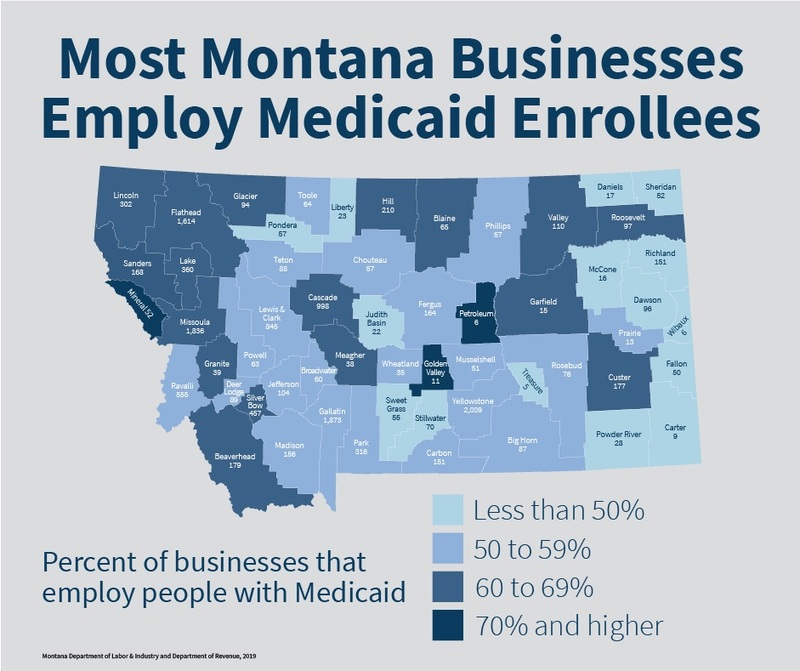 The findings were clear - businesses of all sizes and sectors across Montana employ workers who are Medicaid expansion enrollees. It is up to the Legislature to determine if and how Medicaid expansion will continue beyond the June 30, 2019 sunset date. The research shows that Medicaid expansion provides value to the state’s economy that surpasses the cost of running the program. If the legislature fails to continue Medicaid expansion or if harmful provisions are included, then thousands of workers will lose their health coverage and may lose their livelihoods. Since we are an organization dedicated to facts and numbers, we thought we could let the numbers speak for themselves. 7 out of 10 Montana Medicaid enrollees are already working. 8 out of 10 enrollees live in working families. Over 1 in 3 enrollees who are not employed report being either ill or disabled and the remainder report caring for family, being in school, or had another reason for not working. Business in every county, in every industry, and of all sizes employ workers who are covered by the program. Nearly 18,000 Montana businesses have employed workers enrolled in Medicaid for their health insurance coverage. 57 percent of businesses statewide have at least one worker insured by the program. Every county had at least 30 percent of their businesses employing Medicaid covered workers. Even large businesses in Montana rely on Montana Medicaid to provide health insurance for their staff. One quarter of Montana businesses had between 26 percent to 50 percent of employees enrolled. Nearly all large Montana businesses with more than 50 employees have at least one employee enrolled in Medicaid expansion. Although larger businesses are more likely to provide health insurance to some of their employees, they are also more likely to exclude low-wage, part-time, or seasonal workers from their insurance pool. Small businesses have the highest share (36 percent) of Medicaid workers across all business size classes. Businesses in sectors that tend to pay lower wages were more likely to have employees enrolled in the program. 89 percent of employers in the accommodations and food service industry had at least one worker enrolled in Montana Medicaid. Over half of construction firms and 67 percent of retail businesses, including gas stations, had at least one enrolled employee. Employers benefit from avoided costs with Medicaid expansion. Under federal law, businesses with more than 50 workers must offer health insurance or face a tax penalty, unless those workers are covered by Medicaid. If Montana Medicaid expansion did not exist, businesses would be subject to tax penalties between $11 million and $16.7 million in 2018 for their uninsured workers. If employers had insured all their workers enrolled in Medicaid through private, employer-based health insurance, it would have cost between $353 million and $941 million in 2017 (depending on the type of coverage). Clearly, the benefits of expanded Medicaid go beyond the individuals who are covered under the program: it gives employers a healthier and more stable workforce and saves businesses the cost of providing private insurance or paying a tax penalty. The majority of Medicaid enrollees work in low-wage jobs, like accommodations, construction, and retail that feature volatile hours. Proposals to take health insurance away from people who do not meet strict work and reporting requirements may make workers eligible for health insurance one month, and an hour short the next, due to a schedule they cannot control. 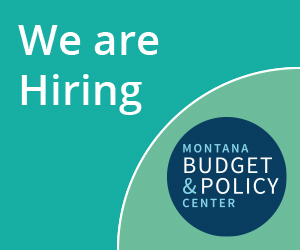 Montana Medicaid has proven to be a successful program, one that benefits working families, employers and the broader economy. The 2019 legislature has all the facts it needs to reauthorize this Montana-made health insurance program in its current form.